Towards the end of 15th century, it was Leonardo da Vinci who first had the inspiration to be airborne, whenever he looked up into the sky and saw the birds fly; he wondered what he could create. His work Codex on the flight of birds put forth his studies on the flight of birds. He also designed many machines like the ornithopter and a machine with helical rotor. Although none of his designs ever became a reality during his life time, but in 1903, it was the Wright brothers who made this vision a reality. However, let’s roll back a hundred and twenty years before to 1783; a man’s first airborne experience was floating in the sky, in a huge hot air balloon. What led to this invention was the realization of a basic science concept that heated air rises up in the atmosphere. And it was the two Montgolfier brothers who discovered that heated air collected inside a large paper bag or a fabric bag, caused the bag to rise into the air. Modifications and improvements that were made to this basic design were inculcated in the construction of larger balloons, which later made it possible to explore the upper atmosphere. The brothers born in at Annonay, France. Joseph-Michel (August 26, 1740) and Jacques-Étienne (January 6, 1745). They received good education. Joseph left to start a chemical business by himself and moved to Paris, but he was shortly called back to run help his father run their paper mill. Their father help Joseph set up a new business because of the new techniques that he introduced, however because of his lack of experience, leading to considerable financial loses. Jacques on the other hand received a training to be an architect along with some scientific education. When he turned 30, his father placed him as the head of the business after retiring. 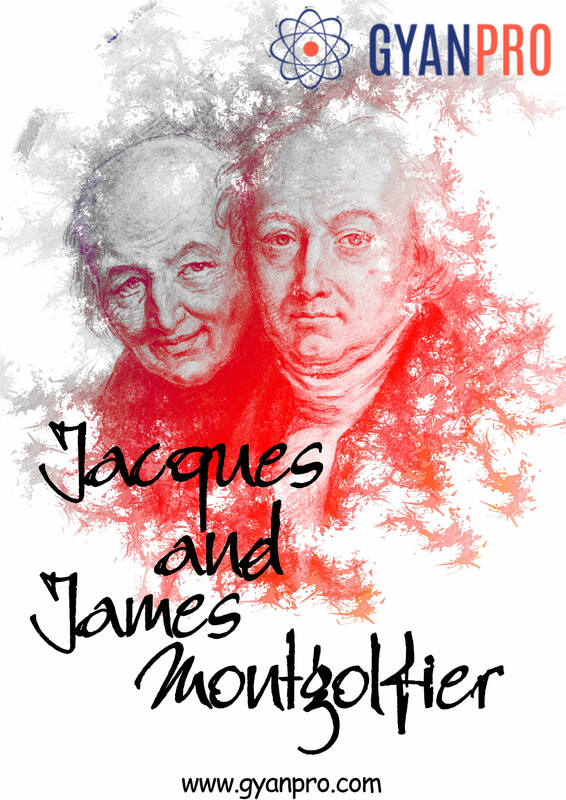 Jacques soon earned his name through careful and profitable improvements that he made in the paper making industry. The brothers after their realization they rapidly passed from a toy sized balloon to large one. Their best fuel was straw mixed with carded wool to heat up the air. After their first public demonstration on June 5, 1783 in Annonay. A balloon 35ft in diameter rising to a height of about a mile in just 10 minutes and then floating and landing safely far away brought them huge accolades and major recognition. The Academy of Sciences, France invited the Montgolfier brothers to Paris to demonstrate their experiment, which failed due to bad weather, and they later repeated the experiment in Versailles on September 19, 1783, in the presence of a king and his court. The balloon decorated elegantly for the royal occasion, carried a sheep, a rooster and a duck, it rose to about 300metres and then floated down safely. The first manned un-tethered flight, on November 21, 1783, carried Pilatre de Rozier and François Laurent, marquis d’Arlandes as passengers on a Montgolfier balloon. The balloon sailed over Paris for about 9 kilometres in 25 minutes. They two brothers were honoured by the French Académie des Sciences (Academy of Sciences). The brothers continued their scientific career and published a book on aeronautics. Later on, Joseph invented a calorimeter and a hydraulic ram and Jacques developed a process for manufacturing Vellum.